eCommerce has been supporting almost every other sector to sell and trade products and services across the countries. While talking about the sectors, there is one which we will be talking about over here. Supermarket and groceries are the part that we can’t cut out of our lives as they provide the basic things that a person needs to have daily no mattered what the condition is. While eCommerce is supporting to sell everything online, groceries somehow come last and way far in the list of the supported sectors. The online business owners of supermarket and groceries service are facing many challenges while dealing with real-time customers. Today, we will check what are the problems and solutions that we face while dealing in an online supermarket business. Owning a supermarket needs you to have proper storage capacity and facility. However, there are many perishable goods such as vegetables, dairy products, fruits, seafood and other non-veg items which may decay if kept unused for more than 3-4 days. Proper storage infrastructure is necessary to maintain the stock and keep disposing of the waste to manage the freshness of the products. When you have a business application dealing in the supermarket products, you face the challenge of storing all the items and maintaining their richness. First of all, on your business application, integrate the just-in-time inventory management API and promote the sales of multiple products which may cause you loss if kept for long then the expected time. Try promoting the sale of packaged goods more as they come with preservative support maintaining the product quality for a long time. Secondly, purchase and maintain a warehouse for all your goods or better way, partner with grocery vendors. You have a business application for the supermarket, so you will have to deliver the ordered products to the doorsteps of the customer. However, a mobile application is hardly able to find out delivery boys for you. Also, the delivery costs sometimes count up to huge numbers due to several factors like increase in fuel charges; long distances covered and many others. Along with costs, the problems arise of inefficient delivery services like delayed arrival, bad behavior of the delivery boy and others. These things create a headache to manage things. Partner with the service providers in the market those have the contacts of efficient delivery boys. You can also arrange a hiring program for delivery boys at reasonable wages. This option can prove to be efficient to hire a team of delivery boys rather than depending on the outside providers. Once you hire them, train them properly on your company’s moral values and integrity and advise them to maintain the same significance when in front of the customers. Dealing in groceries already has low margins, and on the top of that, you have to set up the storage as well as delivery of the products. Moreover, when purchasing online, people are quite reluctant to pay convenience charges. Also, if the cost of any item seems to be a bit higher than the one available at their regular vendor, they are supposed to flee out of your online store and walk to their favorite grocery shop. Also, if they are ordering from your store, they want the delivery at their preferred time as well as high-quality products. Thus, it seems quite difficult to gain anything. Choose a perfect asset-light business model for the required resources. As I mentioned in the point for storage, partner with the vendors, they will keep the storing maintained for your products. It will also help if you partner with a delivery service provider instead of hiring many delivery boys in your company end itself. Partnering with them will help you as well as to them as they will be able to clear out their products’ stock faster without much loss. You can’t ask the customer to pay anything extra above the cost of the product, but you can save some money with these effective tactics. When related to groceries, that is one product where people cannot pay high costs as well as cannot compromise on quality. They like to go to the market by themselves and check the quality and purchase that. Also, if they can’t trust any vendor regarding anything such as weighing, the cost charged, or the quality of the product; they leave that store and walk ahead. Building trust in the consumers’ minds and assure the quality to them take many efforts which are quite challenging and time-consuming. You can take a few positive and productive steps to resolve this problem. Second, they can come to the store, check the products, place the order for them on the app and get the delivery. When they place an order, arrange so that the delivery boy carries an additional amount of that product and allow the customer to check and replace the product if they don’t like. Add a quality label on the products displayed on your online store assuring them that a trusted party tests it. Allow them to return the products and arrange to refund them or make a replacement of the product. These steps can help you gain the trust of the customers in your online store and the quality of your products available. When you run an eCommerce store, the products’ maintenance, quality, and delivery aren’t the only factors that can assist you to keep surviving. You need to manage proper customer support to listen to their problems, complaints, and queries. Managing that as an offline grocery vendor is comparatively easy when dealing with this on an online platform. Customers will make complaints, and you might not get a chance to get the proper research done and may fall into incurring a loss by replacing them the product. While avoiding these, you may face a horrible flow of negative comments regarding your products and services which can ultimately harm your brand image. What can you do in such a situation then? Customer support is an integral part of every business as you need some management to listen to the customers and answer their queries. Try employing a management team for this purpose which will be dedicatedly looking after the customers’ queries and complaints. Give them the necessary authorities so that they can verify the problem and take the required steps. Employ an AI integration on your online store which will take the messages from the customers and forward it to your customer support team to resolve. This practice will help to enhance the customers’ trust in your online store and bring them back even after facing a problem once. 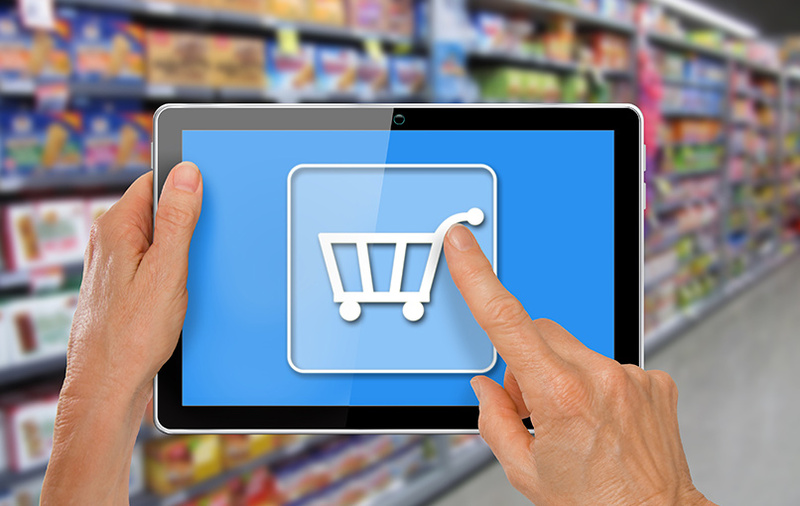 In this article, we tried to discuss the primary and most common problems in an online supermarket app and the best possible solutions to them. Further, there surely can be more problems which might be faced by you or your friend and not addressed over here. We would like to discuss that and find out the best of the resolutions for those issues to ease the dealing for the others in the community.